As sons, daughters, moms, dads, husbands, wives, grandmas and grandpas we want strong and healthy connections with God and with one another. We want our marriages and families to be all that they can be. What better gift can we give our children than two parents with a deep unconditional love for one another who love God with all their heart, soul, mind and strength? We want to see our children and students grow up with the hope, drive and skills they need to have an incredible marriage that lasts a lifetime. With this in mind we are actively developing a Marriage and Family Ministry that brings hope and help to marriages and families in both our church and community. Most marriages don’t need an overhaul, just regular tune-ups. Invite a trained and equipped Marriage Mentor into your journey. · Wanting more from your marriage? · Drifting apart? · Feeling stuck? · Doing well but eager to strengthen your relationship? · Looking for marriage role models? · Willing to invest 90 minutes a month in your marriage? A mentor can help. 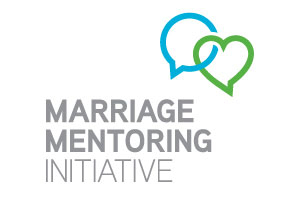 The Marriage Mentoring Initiative pairs you with an older couple who wants to listen and invest in your lives and is strictly confidential. Over the course of a year they’ll guide you through 14 conversations crucial for a healthy marriage. This isn’t crisis counseling, it’s an opportunity to share your story and learn from the life experience of another couple. To connect with a Marriage Mentor or for more information, contact the Marriage Ministry team at heartland@achurchconnected.ca.